The property features 2 bedrooms and a convertible sofa. The upstairs bedroom includes a King bed, an ensuite bathroom and a balcony with a private 4 personal hot tub. The ground floor has a bedroom with a queen bed, a separate bathroom, and a pull-out queen bed in the living room. The ground level has vaulted ceilings and is open concept with a kitchen overlooking the dining room and living room and another balcony off the living room with beautiful views of the forest. HD flatscreen TV, free wifi, free local calls and a huge supply of DVDs will keep you entertained while you are inside. Also included is secure underground parking and bike lockup. Kitchen appliances were upgraded recently. SKI IN/ SKI OUT DETAILS: Located near the Merlins/Lower Cruiser run, ski out by walking 200 yards to the Coast Hotel (there is a very short path next to the hotel), click on your skis and start your first run down to the Wizard Express on Blackcomb. At the end of the day, ski right into the complex via the Home Run path (snow conditions dependent) or enter from the same place you skied out. Alternatively, the free shuttle runs every 10-20 minutes to the Upper or Lower Villages (5 minute drive) where you can hop on the Whistler or Blackcomb Gondolas. My name is Tanya from Vancouver and I feel very blessed to be a Whistler vacation home owner! My family and I have always loved Whistler and I'm excited to have a beautiful retreat to escape to after a busy work week. This townhouse was the first one we viewed and we instantly fell in love. The location is perfect - a ski in/out complex right in the middle of the forest to create a peaceful and relaxing retreat. It is the perfect distance from everything so that you can easily walk to the village (or take the free shuttle) and the private hot tub is perfect after a long day of exploring/skiing. Relax in the private hot tub while enjoying a glass of wine, or relax by the beautiful fireplace with your favourite book. There are packed drawers full of dvds to be played on the HD TV as well as a full subscription to all of the popular HD channels. Free Wifi and local calls are an added convenience. Walk (or slide) down the Wizard Run to grab a drink or do a little shopping in the village. The free shuttle bus is an added perk. 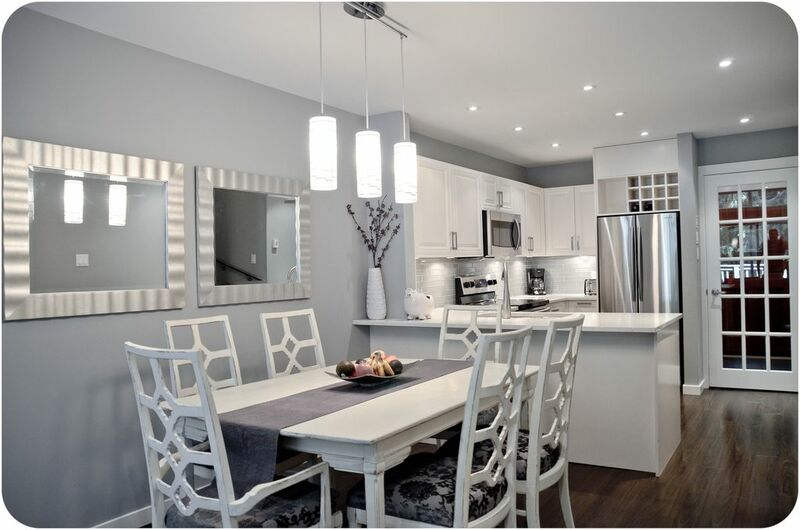 The townhouse is close to everything you'll want and need, yet far enough away to make you feel like you are in a peaceful retreat in the forest. Well-appointed with everything you may need for your stay. Many golf courses to choose from nearby. Wonderful condo, very convenient to the new Blackcomb Gondola. This condo is perfect for two couples. We barbecued, and cooked several times, and found everything we needed in the kitchen. It was easy to get to, and had great indoor parking. The entry is exceptional for keeping ski gear organized. Tanya was very responsive to requests. I would definitely stay here again. It was comfortable to stay in at night, but easy to catch the free shuttle to the center. Thanks very much for everything, Tanya. Warm and welcoming chalet for a perfect ski getaway! My husband and parents stayed in this property for my birthday celebration trip. With the gas fireplace, heat, and heated floors, I never got cold inside, which was great because it was freezing outside. It is so cozy! The location was perfect as we were on the slopes minutes after walking out the front door. We did a lot of cooking and every utensil, pot, and pan we needed was provided. We utilized the hot tub every day, though the lid was difficult to remove and replace, it was worth it for the relaxation. I highly recommend this property for your next Whistler trip! Great condo with everything you could need. On the bus route and a short walk to ski in and out. Close to the action in a quiet, beautiful, relaxing setting. Would absolutely stay again. Quiet location and the home had everything we could possibly need. Fabulous townhouse, beautifully decorated with all household appliances (and cleaning products) you needed. Was nice to stay in a home that had hotel standards. Loved using the hot tub whilst it snowed. I would highly recommend this home which had the advantage of a free shuttle bus nearby too. Free shuttle to Whistler Village (5 minutes drive) runs every 10 to 20 minutes depending on the season. Shuttle schedules are available at the Coast Hotel next door. All adults must be 25 years old or older.